DuO Diamonds 3a, front. The center diamond is more evident on this side. 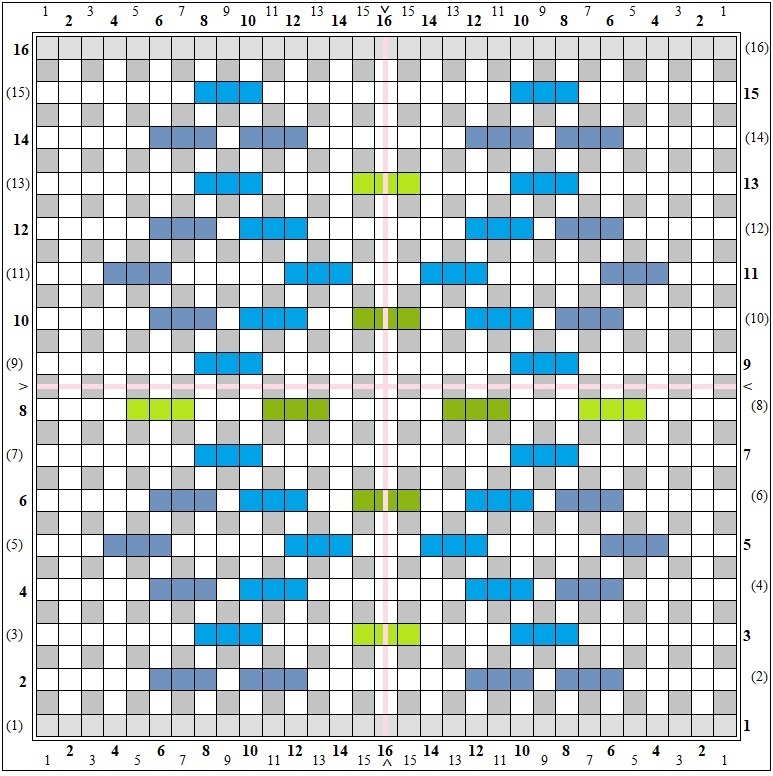 As with DuO Diamonds (original), all the blue squares are O3s and are NOT OPTIONAL. 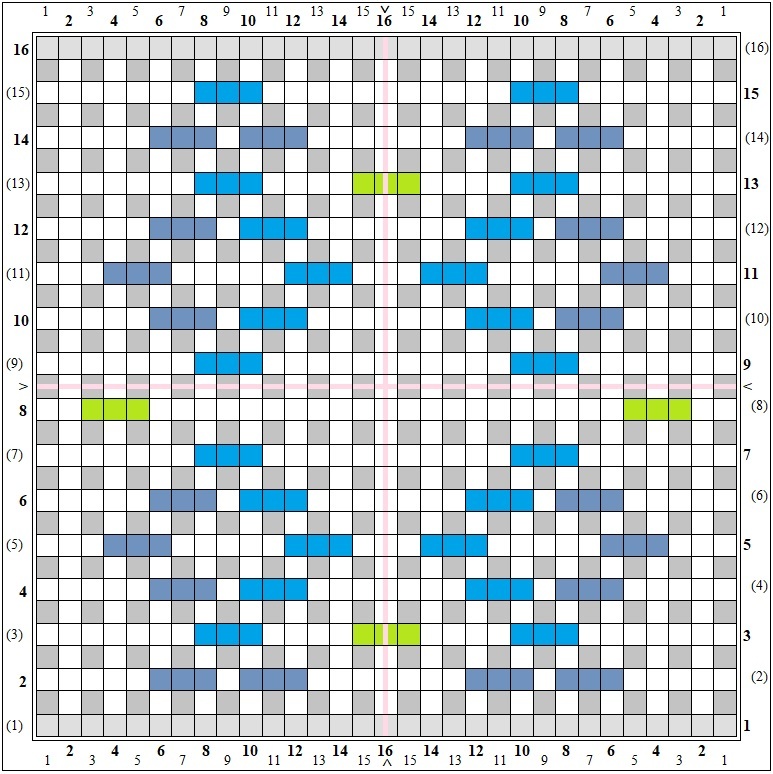 However, the green squares are optional—use all four or in pairs of two (don’t just use one of the U3s). 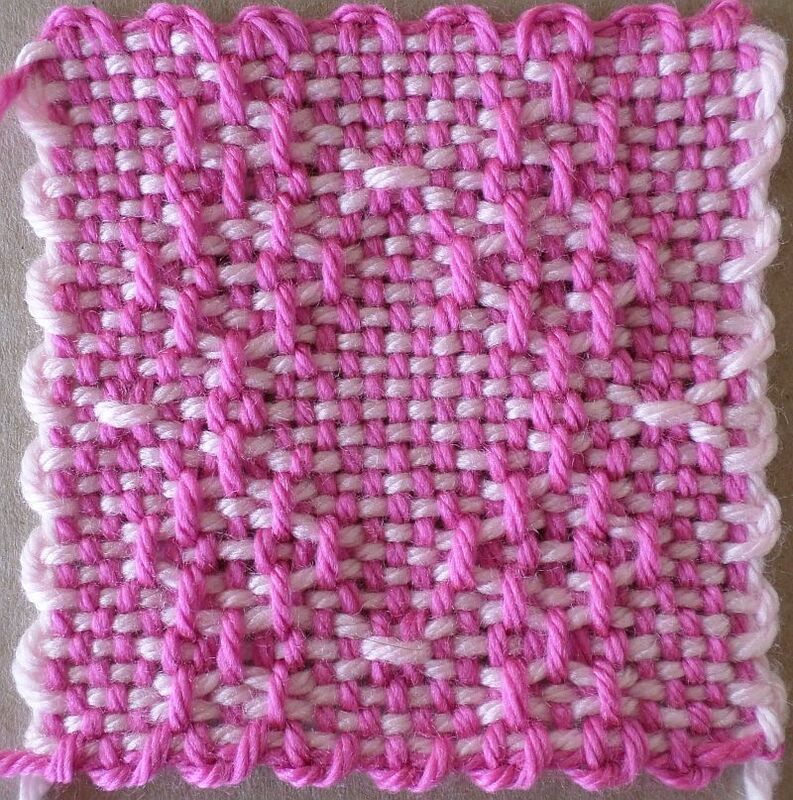 Sample was woven with the optional stitches. 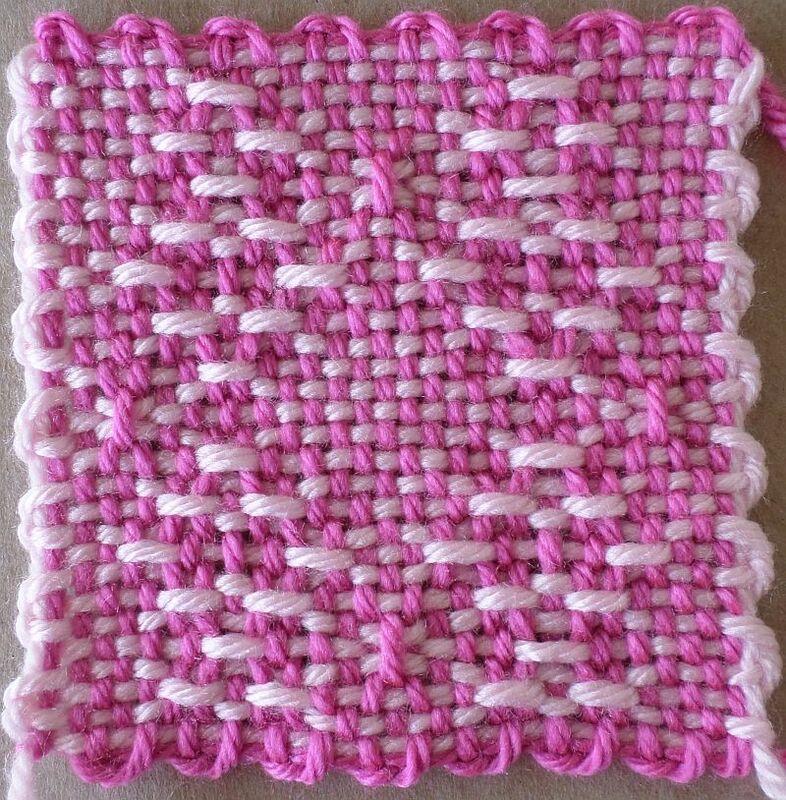 In DuO Diamonds 3b (no sample yet), all the green stitches are optional. You may use just the four light green or the four darker green or all greens together. However, use the whole set of four U3s, don’t just add one (though you could experiment with just adding the groups of two opposite each other).